The Luz Children’s Museum offers engaging science, art, and history education experiences to students across the state of Connecticut. We stay true to our founder, Hazel Lutz, and her vision by providing hands-on learning opportunities that prepare students for academic success. Our programs make learning a positive experience for students as they touch natural artifacts, conduct science experiments, create unique art projects, and meet live animals. It’s a great supplement to existing lessons by brining additional resources into the classroom! Outreach Programs are specifically aligned to Common Core Standards; including the Next Generation Science Standards and National Art Standards. Specific performance expectations are indicated within each program description. Please ask if you would like more information on how individual programs meet these indicators. We are taking the museum on the road and would love to make a stop in your classroom! Professional museum educators will provide inquiry based experiences through activities, games, and observations. Select from a number of natural science, art, or history topics. View our Teacher Newsletters below to read about currently offered programs. Our Outreach Programs create opportunities for learning at any time of day. Even after school hours! A specialized selection of our Outreach Programs are available to book. These programs are just as engaging and student-centered, but structured to be longer in length. Looking for a little more? We will work with you to design a custom after school enrichment program, vacation camp, or full-day extension on early release days. Longer programs include breaks for recreation and snack time. 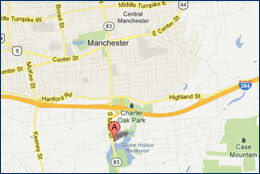 A mileage fee of $0.60/mile is added to the overall fee for locations outside Manchester, Connecticut. Science Programs are 45 minutes in length while Humanity Programs are 60 minutes in length. Each program is catered towards a maximum of 25 students. Larger group sizes will require additional programs to be booked. You may submit your program request using the online form below. To schedule your educational outreach program directly, please contact the Education Coordinator at 860.643.0949 x 30951 or email frontdesk@lutzmuseum.org. Program space is limited. Please request your Outreach Program at least two months in advance to ensure the best availability.